Whether you own a house or you’re simply renting, living in a house certainly has its advantages. But here’s the thing: so does living in an apartment. Apartments offer their fair share of conveniences and simplicity when it comes to a living situation, and being near the action right here in Los Angeles’ Echo Park neighborhood certainly isn’t a bad touch. If you’re looking for an affordable luxury apartment for rent near downtown Los Angeles, our new building at 422 South Lake is perfect for you! While there are many considerable advantages to living in an apartment, the luxury apartment professionals here at 422SOUTHLAKE are going to cover a few of them in today’s blog post. 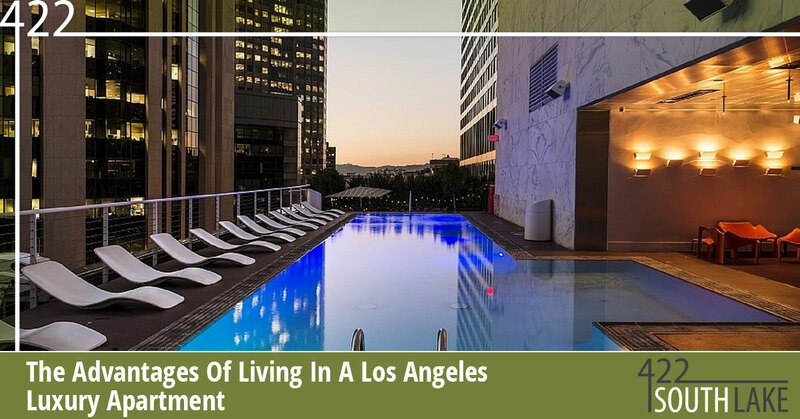 If you have any questions about moving out to Los Angeles and living in our luxury apartments for rent, we’d love to hear from you! Contact us today to get a showing at 422 South Lake. There is, of course, a lease that you’ll have to sign, but a lease is usually only a year-long commitment or so. And while people still purchase pieces of property that aren’t necessarily single family homes, most apartment units are typically rented out. So, most apartments are a lot more flexible than homes in the sense that the tenant doesn’t have to commit to the living situation for longer than a year or two. Now, we’re pretty confident that you’ll love your stay so much at 422 South Lake that you’ll be here much longer than one year! Houses are great, but with yard work and more square footage, you’ll have to spend a lot more time cleaning and taking care of the place. Unless you have roommates, a family or a significant other that can assist you with these household tasks, taking care of an entire house on your own can be a real pain. With an apartment, you won’t have to worry about taking care of the yard, and there’s also no expectation of shoveling snow (not that we get a whole lot of snow here in LA, to be fair). Owning property means that if something breaks or goes wrong in your home, you have to do the fixes yourself or hire another company to do it for you (and pay for it out-of-pocket). Even renting a house with a private landlord can lead to some rather slow maintenance turnaround times, especially if the landlord doesn’t live nearby or they’re just too busy to come by and fix something. As for renting an apartment, you’re not expected to fix anything that breaks in your unit (so long as it’s not your fault – we’re not liable for any personal damages), so rest easy knowing that maintenance services will take care of the problem for you. After all, you’re already paying rent, so why should you have to lift a finger when something goes awry? Apartments are convenient, and when it comes to taking advantage of living in LA, you can’t go wrong with living at 422 South Lake. Learn more about our luxury apartments for rent today!